Having the best scale to weigh yourself is one of the most effective ways to determine whether you are meeting your weight goals. What is great about modern weighing scales is the fact that they can be very specific. Back in the day, they can only show weight results. Today, however, there are models that can also determine water retention, bone density, and more. Then again, there are hundreds of weighing scales available on the market, making it very difficult to find the one that suits your needs. However, what you need to keep in mind is that you should look way past its functionality and into the accuracy of the results that it offers. Functionality and accuracy are the two most important factors that you should look for in a weighing scale. These factors are greatly influenced by the materials the scale is made from such as glass, steel, aluminum and the likes. In here, we are going to look at three of the best weighing scales in hopes to find the one that is perfect for your every need and preference. They are all from reputable brands so you can be sure that your investment is of high quality. Regardless of the workout program you plan on doing, you would need to have a reliable weighing scale to monitor your progress. Unfortunately, finding the perfect one that suits your every need and preference is not an easy task. For that, we’ll review three of the best ones to help you figure out which of them is your future fitness buddy. This weighing scale is a step-on kind, which means that you will get the result as soon as you step on it. It is equipped with an auto-on, auto-zero, and auto shut-off features, so there isn’t really any set up necessary. It comes in a solid black color with a sleek and modern look, making it perfect for any interior. Its platform is made of heavy-duty tempered glass and measures 13.8 by 11.4 inches. The large LED screen paired with a bright backlight ensures that you can keep track of your weight easily. With its four high-precision sensors, you can guarantee accurate and consistent results every time. In fact, it can offer 0.1 pound of graduation increments. This weighing scale runs on 2 AAA batteries, which are already included in the purchase. This means that it is ready to be used right out of the box. Can only measure the actual weight; no BMIs, bone density, etc. 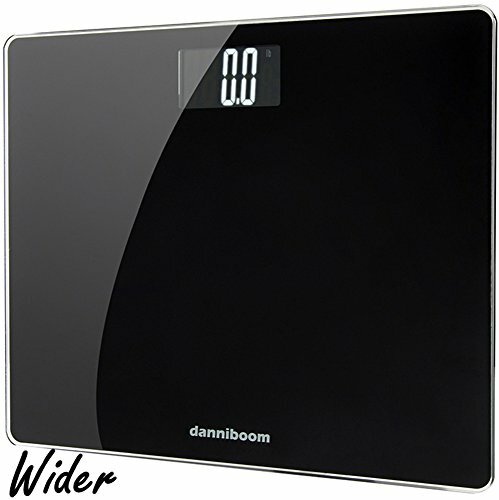 Next on our list is yet another modern-looking weighing scale. 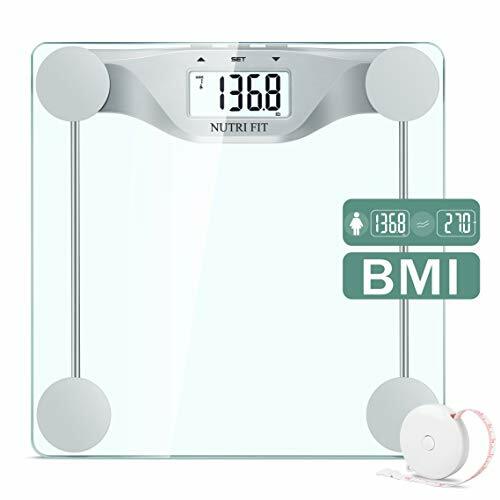 Compared to the first one, the Nutri Fit Digital Body Weight Scale boasts a transparent glass, measuring 11.9 by 11.9 inches, which showcases the silver outline at the bottom of the scale. The big LCD screen, measuring 3.2 inches, has a backlight of its own to allow for easy reading of the results even during at low-light conditions. Due to its durability, this weighing scale can weigh persons up to 400 pounds. Its four high-precision sensors offer 0.1-pound graduation increments too. While it also features a step-on technology, it can provide you with a reliable body max index as well. For your convenience, this weighing scale does not require any calibration at all. Aside from being auto-calibrated, this weighing scale also features an auto-power off, auto-zero, auto-off, low battery warning, and overload indication. It is powered by 2 AAA batteries, which makes sure that you can use this for months without having to change the batteries. Last but not the least is a weighing scale that is very different from the two that we have reviewed above. 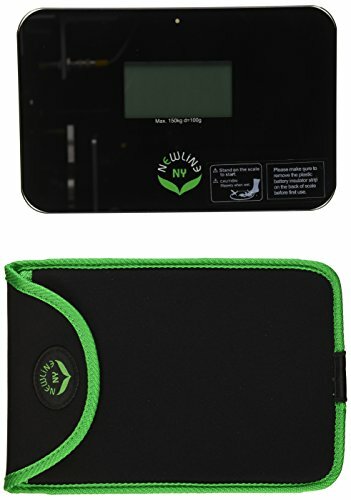 The NewlineNY Super Mini Scale is a portable weighing scale that measures only 5.5 by 8.5 by 0.5 inches. In fact, this weighing scale comes with its own case too. Aside from that, you can also choose from two different colors: white and green. Like the other two weighing scales, this one also functions on a step-on technology, which can accommodate persons up to 350 pounds. However, this particular model comes with lots of indicator lights. While red light means that the scale is still processing the results, the green light indicates that it is done and the results are ready. It is fairly easy to use too. Just step on the heavy-duty platform, wait for the indicator lights to turn green, and you have your weight measurement displayed on its 3.5-inch screen. In fact, you won’t need to stay on the platform afterward since the results are displayed for about eight seconds. Similar to the other two weighing scales, this one also features an auto shut-off mechanism. However, it can only provide 0.2 graduation increments. This weighing scale runs on a 3V battery and should not be placed on carpets or rugs. After careful consideration of each of their features, pros, and cons, it is clear to see that each of these weighing scales are all good choices. However, if you ask us, the best scale to weigh yourself on is the Nutri Fit Digital Body Weight Scale. Why? Well, for many reasons. For starts, it boasts a feature that the other two can’t match. 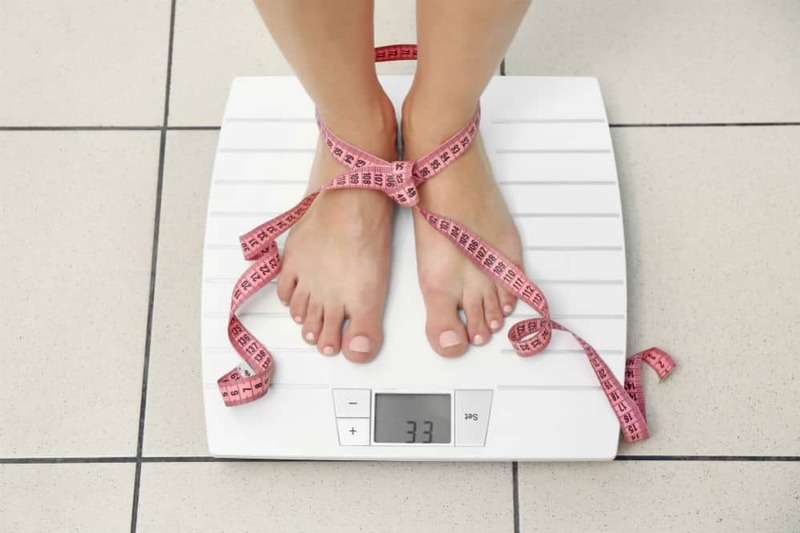 Aside from the weight results, this scale can also provide you with reliable info on BMI. Then again, this feature does not always work and, sometimes, you would need to go on and off the platform to fix it. All in all, there are no major problems with the Nutri Fit Digital Body Weight Scale, making it a very good choice for people who wish to find the right weighing scale.